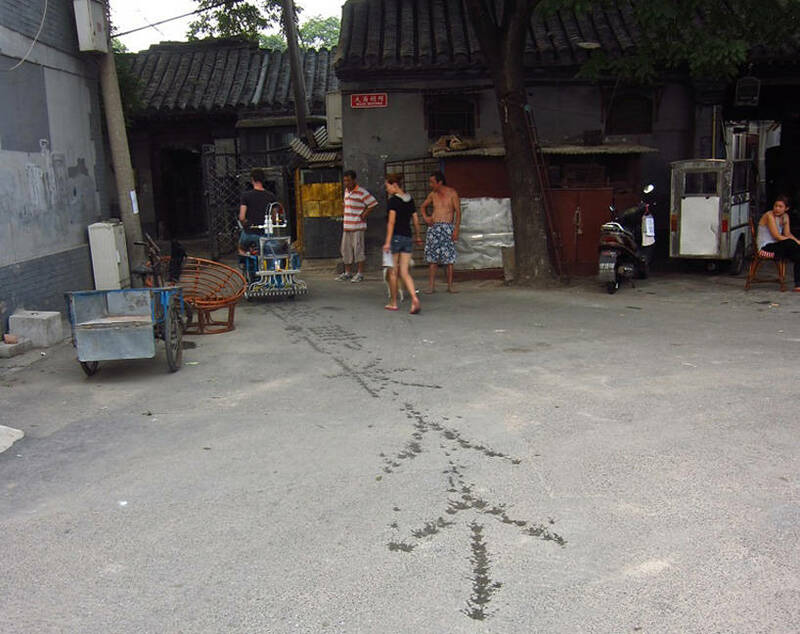 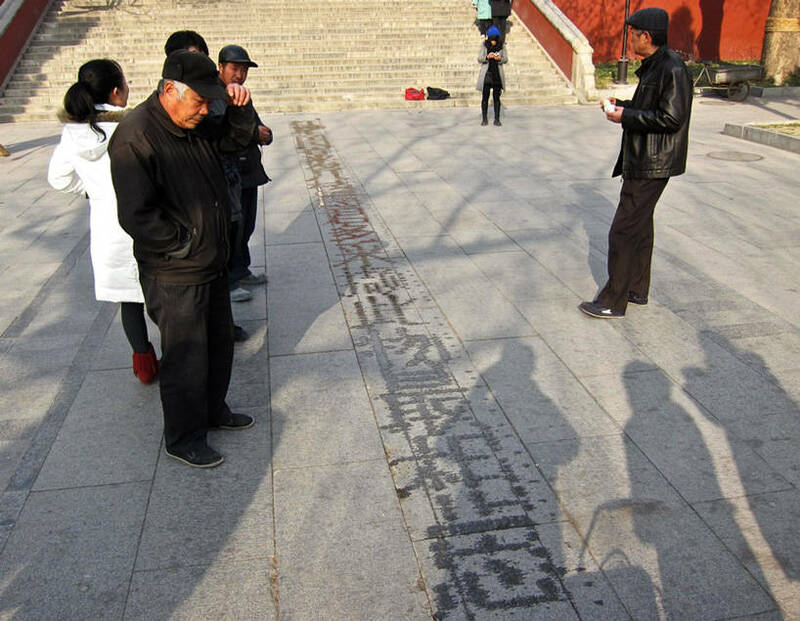 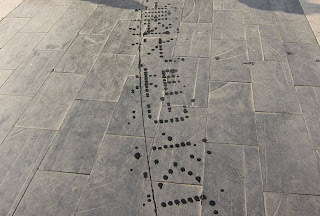 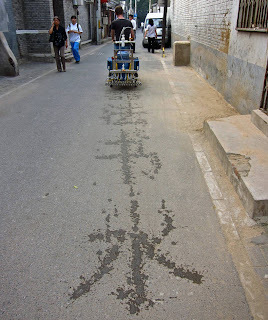 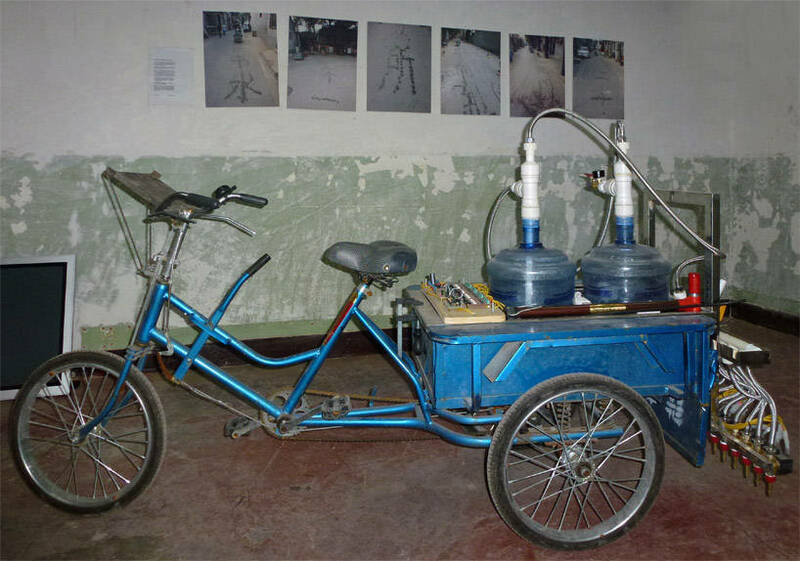 Water Calligraphy Tricycle by Beijing-based media artist Nicholas Hanna reinterprets the Chinese tradition of using a water brush to write poetry in public spaces by transforming a flat-bead tricycle into a poetry-writing device. 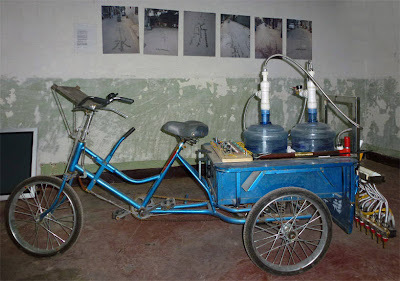 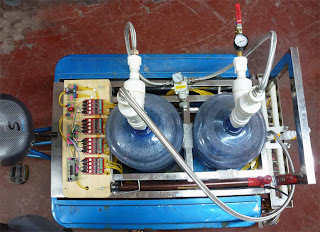 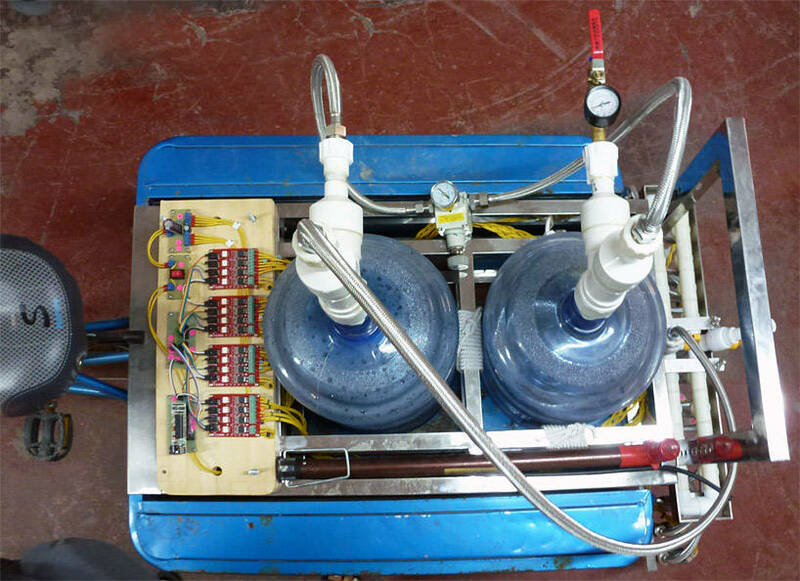 Hanna's Water Calligraphy Device uses a computer, mounted on the handlebars, to transmit passages of Chinese literature to an electrical system and array of solenoid valves. 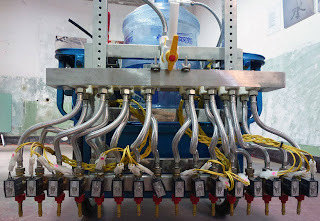 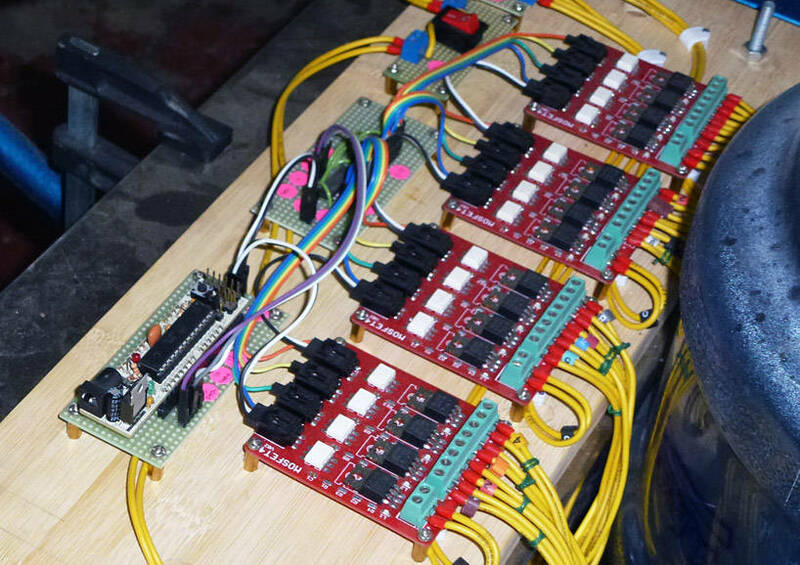 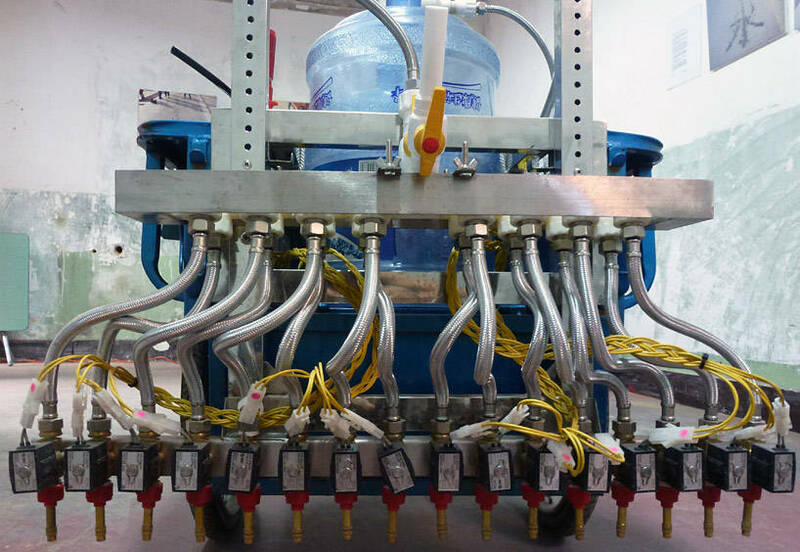 each character is converted into a dot matrix, to which the valves synchronize the release of droplets of water as the tricycle moves forward. 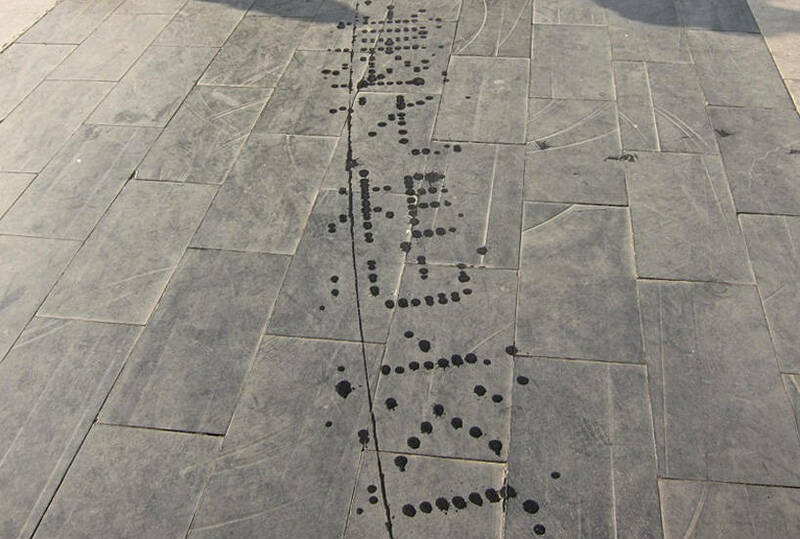 thus as the device moves forward, passages of text appear behind it, only to gradually evaporate just as in traditional water brush painting.